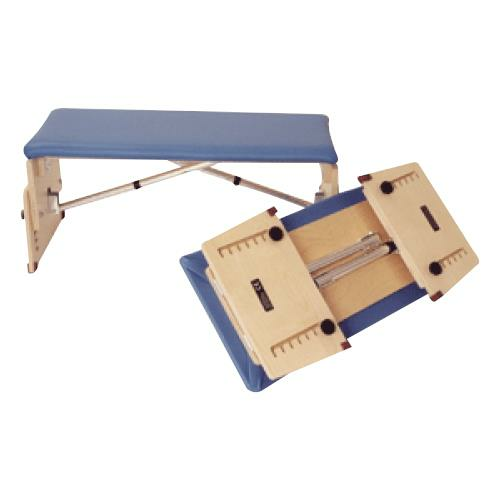 Kaye Adjustable Benches are ideal for home, therapy, or school programs and for children who do not need back support in sitting but need a firm seat that can be adjusted so that the child feet rest on the floor. 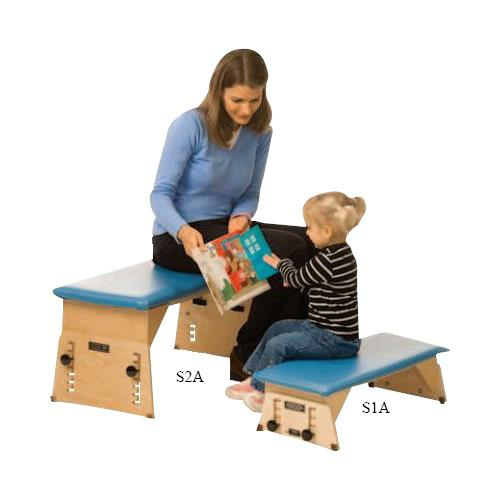 The solid, stable construction makes these benches ideal for children learning to move from one level to another, such as moving from the floor to sitting, from sitting to standing, or from a seated position to their walker. Small/S1A 180lb 7" to 11" Yes No 10-1/2" x 26"
Small/S3A 180lb 7" to 11" Yes Yes 10-1/2" x 26"
Large/S2A 180lb 10-1/2" to 17" Yes No 14" x 31"
Large/S4A 180lb 10-1/2" to 17" Yes Yes 14" x 31"
X-Large/S5A 180lb 16" to 23" Yes No 14" x 31"